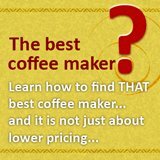 Choosing coffee roaster equipment in 2 steps! Sure, coffee roaster equipment variety is about as dazzling as coffee makers, but as usual, cutting down to its simplest term allows one to make a better choice. But before we even go into choosing of coffee roasters, there are somethings that one would need to take note to better enjoy the roasting process. Most manufacturers would not recommend in the house for the simple reason of the smoke that roasting can create. While we might appreciate the house filled with thick sweet Arabica smell, our families might be less tolerant of that. If possible, always do your roasting outdoor. 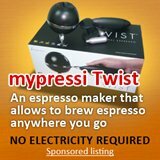 Other than reducing the risk of fire hazard, it also allows dedicated voltage point for the coffee bean roaster. The roaster are very sensitive to home voltage, sharing voltage with other appliances might cause the electrical supply to varies, leading to inconsistent roast. 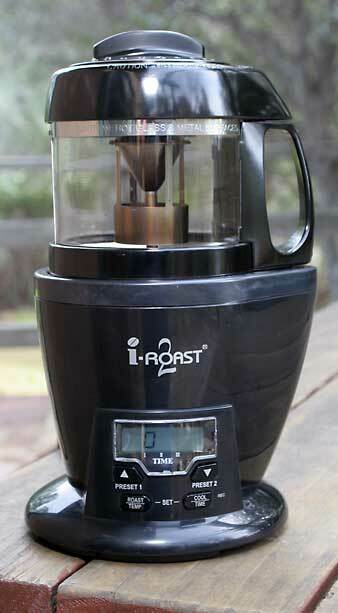 Do bear in mind about trying to do continuous roasting with these coffee roasters at home. Without a cooling period in between the roast batches, you might trigger the thermal protection, and this would require the manufacturer to reset it (you might have to pay for it) and then it might also void your warranty. Now, that we know some things to note for home coffee roasters, lets explore how we can choose them in 2 simple steps. I abbreviated them SC and EC. 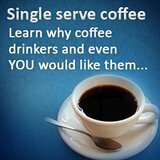 SC stands for simple and cheap, this refers to the fluid bed roasters. They functions like the hot-air popcorn poppers. They are easier to use with a glass roasting chamber that allows you to watch as the roast develops then stop the roast as desired. These fluid bed coffee roastrs have the lowest pricing roaster at approximately $70.00 to $170.00. Common brands are FreshRoast Plus 8, Hearthware I-Roast 2. EC stands for expensive but commercial and it refers to the drum roaster range. They does what commercial coffee makers does by roasting and turning the coffee beans in a drum roaster. Working like a commercial roaster, the beans roasted are finer and you also have the ability to roast more variety. This roaster also "teaches" you to learn the finer points of roasting by training you to monitor the smoke and hear for the 1st crack. This allows you to time your roasting and armed with these experiences, you would be able to roast your taste profile with any roaster. 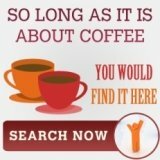 While the drum coffee roaster equipment are more expensive than the fluid bed, it is consider a steal as it boast of commercial coffee roaster's ability. Although it is price at above $300 to $700, it is so much lower compared to the commercial drum type which retail at more than $3000.00. There you have it, only 2 "types" of coffee roaster equipment for you to choose.